Valentine’s Day began for me by creating a Valentine card on a legal notepad for Peg. At the breakfast table I sketched the doors in our hallway downstairs and added a personal note. When Peg saw it she said, I hate those doors . . . which I knew of course. The personal note sounded more haiku-ish than Hallmark. She loved it. She gave me a large sketch pad with a dedication page. When I attend meetings, I’ll jot down ideas and often illustrate a concept on my sketch pad. I always have a couple of gel pens with me. We both loved our Valentine gifts. After the gift exchange we talked about our day. We had a late lunch planned at Pacific Grill. We left a little early so we had time to locate a parking space. We were in luck and found someone leaving just as we were arriving. They drove away and I pulled into the parking space leaving me about a forty foot walk to the front door of Pacific Grill. I turned down a booth and requested a table by the window instead. We chose Pacific Grill because owner Gordon Naccarato had just launched a new menu with items from his trip to Asia. I ordered the Hanoi “dry” soup. Even though it was barely two in the afternoon, they were already out of that Entrée. Second disappointment was slow service by the kitchen staff. Our appetizers arrived late. 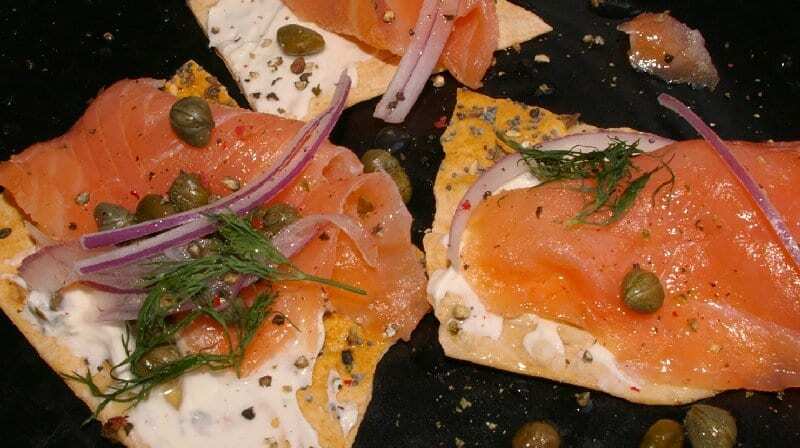 Our favorite appetizer is the cold-smoked salmon with ‘everything’ lavash crackers, red onion, capers + cream cheese. Each plate has three crackers piled with salmon. Peg gave me one of her’s. With a squeeze of lemon as the final touch they were perfect. Even with two minor disappointments it was a lovely lunch. It’s easy for me to say no to dinner salads from most restaurants. Not so at our favorite places. 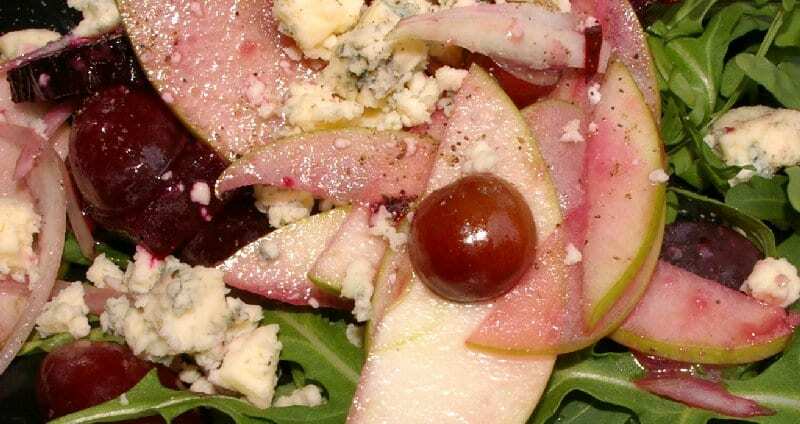 At Pacific Grill I had the beet salad with its roasted red beets, granny smith apple, red flame grapes, sweet onion, roasted walnuts, fresh horseradish + cassis vinaigrette and rogue river blue cheese. The next time I bring appetizers to a dinner, I think I’ll bring some cut up beets, sliced red grapes, red onions and walnuts with crumbled blue cheese. People will be amazed at the simplicity and taste. Peg had the smoked salmon chowder, which was excellent. She also ordered the rosemary bread, which came with olive oil, and roasted garlic. I hated to leave three slices, but we were both full at the end of the meal. 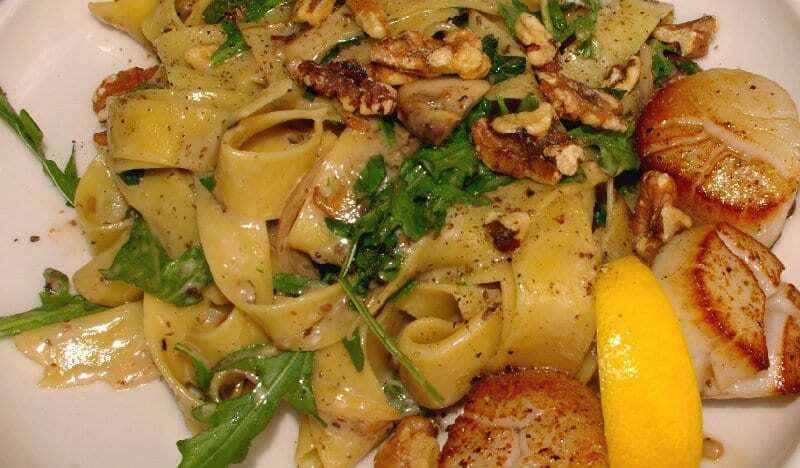 For my main course I ordered the Winter Pasta, which featured pappardelli (extra wide strands of pasta) with locally foraged mushrooms, miso butter with basil, arugula + toasted walnuts and scallops. I ordered the pasta plus scallops (3) and shared a little pasta and half my scallops with Peg. It was hard, but we turned down the dessert menu in favor of “the” cookie from Metropolitan Market in the Proctor area. The first time we experienced pappardelli was at a little restaurant in San Gimignano. Memories always accompany great food. The first time we experienced pappardelli was at a little restaurant in San Gimignano, a small walled medieval hill town in the province of Siena, Tuscany. The villa we rented with friends had a view of San Gimignano from our terrace across the valley where we dined and drank wine each evening. Memories always accompany great food. Back home we had a chance to relax a little bit before attending a jazz concert at the University of Puget Sound. It was a wonderful day.